This past weekend Mac Agnese, Catie Hopkins, Jack Swikart, Pati Andrade, Joe Farned and myself competed in the Admiral Moore Team Race at SUNY Maritime. 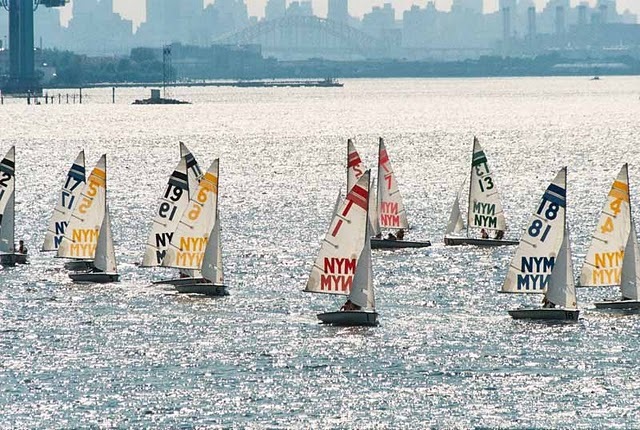 We set out from Penn on Friday night excited for the team races ahead and after staying at the Swikart’s house, we set out for New York early the next morning eager and ready for a chance to practice team racing at a fun and windy intersectional. We got fun and we definitely got windy — the breeze built up to 10-22 knots in the afternoon. Still, the races got off smoothly and the SUNY race committee was able to pull off an impressive 61 races total by 5:40 pm on Saturday. Each team sailed 14 races and we managed to pull out several wins and finished the day feeling good about our efforts. It was a long day, but we ended in high spirits, if a bit damp and cold. The next morning we spryly bounded from bed in anticipation for the excitement in our near-futures. We had only 6 races to complete in the second round robin so we knew we’d be fresh and ready to compete. We finished up by 2 pm and headed back to school feeling accomplished with the improvements we steadily made throughout the whole regatta. We went into this event focused on taking the chance to get back in the boats and practice a type of race we’ve never had the opportunity to experience as a team — it was exciting. The differences between our first several races and our last few were profound in terms of our teamwork and strategy; we made great strides throughout the weekend. We’re looking forward to the next several weeks of team race practice in anticipation for the Prosser Trophy in Annapolis over the first weekend in April! It was additionally great to welcome our coach Johnny Norfleet to his inaugural regatta with our team! Also thanks to the Swikarts for allowing us to stay over on Friday and Saturday. 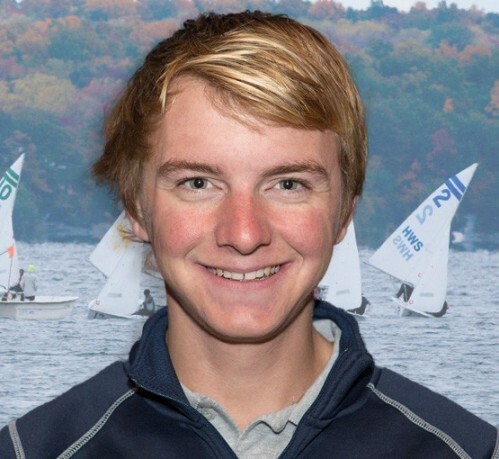 Penn Sailing is excited to announce that after a lengthy search process, we have hired Johnny Norfleet as our new head coach. Last spring, Norfleet graduated from Hobart with a degree in Economics. While at Hobart, Johnny sailed extensively at the national and interconference level, and was a team captain and A-Division skipper his senior year. He also earned ICSA All-American honors for his outstanding senior season as well as being named first team All-MAISA. In addition to his college sailing accomplishments, Norfleet also has extensive coaching experience, including having coached junior sailing on Cape Cod for many summers. Most recently, Johnny served as an Assistant Coach at Hobart for their Fall 2013 season. 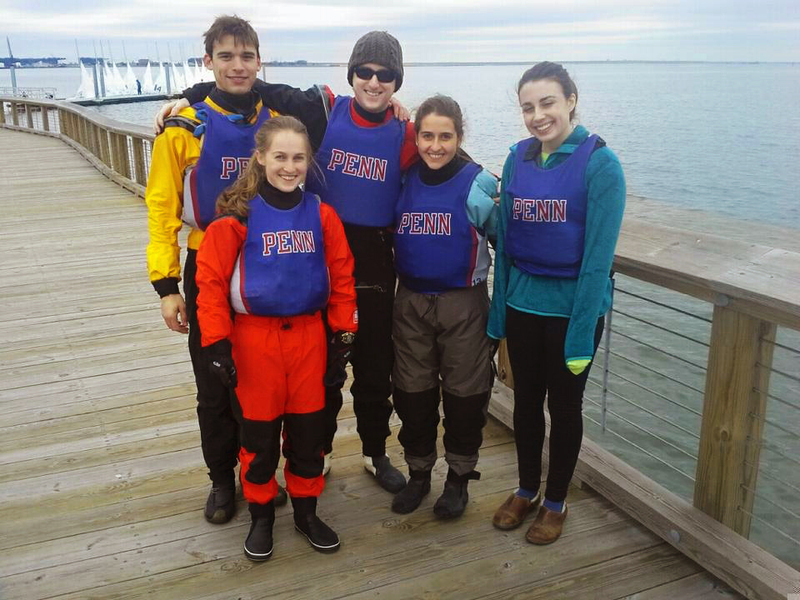 The Penn Sailing Team kicked off its Spring 2014 season with a very strong performance at the ODU Spring Open, winning both divisions as well as the regatta itself. I skippered A Division with Patricia Andrade crewing. Mac Agnese and Catie Hopkins started off in B Division with Helen Boone switching in later in the event as the B Crew. We left Philadelphia on Friday night to make the long trip down to Norfolk, VA. After a good night’s sleep at the home of Neil and Aline Landy, who were generous enough to host the team for a third straight year, we were ready to get on the water after a long winter off the water! Saturday morning was cold and started with a light breeze from the North. Everyone donned their drysuits and headed out for the races. Pati and I managed four top-3 finishes on the day in A Division, while Mac and Catie did the same, scoring 3 of 4 bullets in B Division. After the first day, we led St. Mary’s College of MD by 5 points. After racing, the Hamilton family – Mac’s grandparents – hosted the team for dinner at their house, for which the team was very grateful. Sunday arrived with much warmer conditions, as well as better breeze. After a fluky first 2 sets, each division managed to get 6 more races off before racing was done for the day. Pati and I had a few shaky finishes to start the day before finishing up strong with a third and two firsts. Mac and Helen continued to dominate B Division all day, finishing first or second every race. After all was said and done, we finished 17 points ahead of St. Mary’s to take the event. Mac’s parents, who came up from Florida to see the team, made hamburgers and hot dogs on one of the ODU grills. Thanks so much for the food Mr. and Mrs. Agnese! Overall, the event was a great start to the season and is hopefully a sign of things to come this season! We’d also like to extend a special thank you to the Landys, who are such fantastic supporters of the team each year. We can’t wait to head down again next spring!